1. Stay mobile. Watch how doves enter and leave the area you are hunting, and put yourself into position to intercept them. Doves have distinct patterns in how they fly. It sometimes relates to loafing or roosting areas in relationship to a feeding or watering area. Take advantage of the flight patterns. 2. Hide from doves. These birds have incredible eyesight and a lofty vantage point. Hundreds of times I’ve watched them fly directly toward me in a path that seemed as if it would offer a perfect shot, only to have the dove slide subtly to one side and pass just out of range. That’s not an accident. It means the doves see hunters and recognize them as dangerous, then fly around the danger. Hiding means dressing in clothes that blend with the natural background but it also means taking advantage of natural cover and remaining still as doves approach your position. 3. Find fallen birds by walking directly to the spot where the bird went down without taking your eye off the spot. Hunters are notoriously bad at marking fallen birds and often lose downed game as a result. When you get to the spot where the bird went down, mark it with your cap or carry a handkerchief as a marker. Walk in an ever-widening circle around the marker until you find the bird. Most hunters stop short of where the bird fell. If you’re hunting on the edge of a sunflower field or other tall cover, try to position yourself so the birds fall in a place where you have a good chance of finding them. 4. Use quality shotgun shells. Cheap shells do not work well in autoloading shotguns. Loaded with less than an ounce of shot and without the proper buffers or shot cups, cheap shells do not pattern consistently. The added cost of quality shotgun shells is inconsequential compared to the expense of traveling from an urban area to a dove hunting hotspot. 5. Stay safe by treating every gun as if it were loaded and by demanding safe gun handling from your hunting companions. Put at least 100 yards between yourself and the closest hunter and avoid taking shots at birds that are flying low between you and a fellow hunter. 6. Scout the terrain! When you scout, use binoculars to look for birds feeding in the far end of the field. Study trees, power lines and fences for perching birds. If you have a couple of hunting partners, split up the scouting chores to increase the odds of finding a huntable concentration of doves. 7. Take special note of where birds fly in and out of fields and what direction they come from. Getting to the best hunting spot early is particularly important in a public hunting field. Finding the best hunting spot in any field requires preseason homework. 8. Most Texas dove hunting occurs the first two weeks of the season. Dove hunting often improves with migrating birds in late September and October. The weather almost certainly becomes cooler and more comfortable late in the season. 9. Arrive early. Nothing is quite as disrespectful as showing up right before shooting light and hiking or driving through someone’s hunting area. That person put forth the effort to arrive early so they could be ready to go at legal light. Failure to plug the magazine of a pump or auto loading shotgun. For all migratory bird hunting, the gun must be plugged to a three-shot capacity. That means one shell in the firing chamber and no more than two in the magazine. Hunters who remove their plugs for quail or turkey hunting may forget to replace them for dove hunting. That’s one thing you can be sure the game wardens will check. Failure to keep your doves separate from birds shot by other hunters. 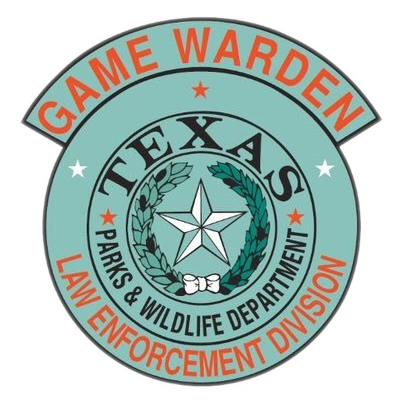 The violation is called “co- mingling game” and simply means that a warden cannot look in an ice chest where several bags of birds are deposited and tell which hunter shot which birds. Whether birds are cleaned or uncleaned, keep each hunter’s daily bag segregated in a plastic storage bag with the hunter’s name and the date the birds were shot written on the bag. If you hunt two days, label a new bag to hold your second day’s harvest. Violation of “possession limit.” For migratory birds, the possession limit is defined as twice the daily bag limit. You cannot make an extended dove-hunting trip, hunt three days, shoot three limits and have them all in your possession. It is legal to eat birds or give them away and continue to hunt as long as you do not exceed the daily bag limit. Double dipping. This means shooting a daily bag limit of doves in the morning and another limit in the afternoon. Regulations once prohibited morning hunting of doves to avoid the potential for double dipping. Shooting from the tailgate of a parked pickup truck or from the seat or bed of an ATV. This is a federal rule adapted by TP&W. It states on Page 69 of the regulations booklet, “It is unlawful to hunt from or by means of motor-driven vehicles and land conveyances or aircraft of any kind.” While the law is obviously concerned with the use of moving vehicles to get within shooting range of migratory birds, it is worded in such a fashion that you cannot legally sit on or in a parked vehicle and shoot. Dove hunters should check closely for metal leg bands on the birds they harvest. Jay Roberson, dove program leader for TP&W, said the bands are small and not easily seen. In fact, Roberson believes that hunters are under reporting the harvest of banded doves, probably because they never notice the band. The dove bands include an identification number and a toll-free phone number to report the band. Hunters will be asked their name and address, the date of band recovery, method of band recovery (was the bird found dead or shot) and location of recovery. Hunters may keep the bands. More than 12,000 banded doves are likely to pass through Texas during the fall migration, including about 1,500 that were banded in the state. Texas biologists are banding mourning doves and white- winged doves, but the vast majority of banded doves are mourning doves. Last year, Texas hunters reported recovering 99 bands, 50 from birds banded in Texas. Other banded doves reported last year came from Iowa, Missouri, Nebraska, Oklahoma, North Dakota, South Dakota, Arkansas, Pennsylvania, Louisiana, Wisconsin and Colorado. Iowa was the leader with 14 and Missouri contributed eight. F&WS surveys indicate a slow but steady decline in mourning dove numbers, but many biologists believe that doves are becoming increasingly urbanized, making them more difficult to count. Mourning doves, one of the most common bird species on the continent, may actually be more plentiful than ever. Before 1983, white-winged doves were seldom spotted more than 50 miles north of the Rio Grande. The severe winter of ’83 killed citrus crops in the Rio Grande Valley and destroyed whitewing nesting habitat. The birds began exploratory flights north and never looked back. But today it’s possible to shoot a white-wing just about anywhere in Texas. They’ve been spotted in Calgary, Alberta. For the most part, white-winged doves are city birds. They like to roost in ornamental shrubs and trees in cities like San Antonio, Austin and Waco, but they’re also abundant in small towns scattered all around Texas. Nesting colonies have been reported in Wichita Falls, Lubbock and Amarillo. Daily white-wing flights from Hondo, south of San Antonio, rival the heyday of the Rio Grande Valley. The best hunts for whitewings often occur within 50 miles of a major population center. That’s not too far for the whitewing’s daily feeding flight. There is some concern that the larger, colonial whitewings might be pushing the smaller mourning doves out of their traditional areas. Biologists don’t know how the habitat conflicts between mourning doves and whitewings will turn out but they’re both fine game birds. While Texas law permits hunters to clean doves in the field, Roberson said it’s a good idea to keep Eurasian doves intact, in case you are checked by a game warden. Most hunters retain only the dove’s breast for eating. A warden cannot reliably tell the difference between the cleaned breast of a collared dove, a white-winged dove or a mourning dove. Dallas is on the boundary line between two of the three Texas dove zones. Interstate highways form the boundary between the north zone and the central zone. Beginning at Texarkana and heading west, the zone boundary is I-30 to its intersection with I-20, then I-20 to its intersection with I-10 at Kent, then I- 10 to Fort Hancock on the Rio Grande. It’s important to know the zone boundary because of varying season dates from the north side of the highways to the south side and also because of the difference in bag limits. North Zone dove hunters have a 15-dove daily limit to compensate for fewer hunting days. In the Central and South Zones, there are more hunting days but the daily limit is 12 birds. Ignorance of the dove zone boundaries is not an acceptable excuse if wardens find you with a North Zone limit in the Central Zone. This should go without saying, but treat the land as though it’s your property. Pick up your trash, including empty shells. Dove hunters have the potential of depositing 35 million or so pieces of litter a season in the form of brightly-colored shotgun shells. The shells are made of plastic and brass and require many years to deteriorate. 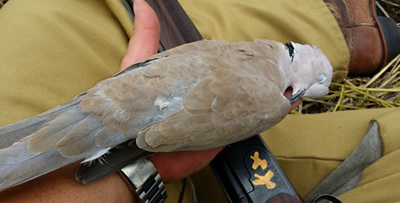 Dove hunters should make it second nature, upon firing a shot, to immediately retrieve the spent shell and place it in their game bag. The shells can be deposited in an appropriate trash bag or trash can when the hunt is finished. Spent shells are much easier to retrieve when fired from a breech-loading shotgun. When you break the gun open for reloading, simply catch the shells as the shotgun ejects them. Autoloaders or pump-action guns require a little more work because the shotgun action may throw the spent shell several feet away and into thick cover. 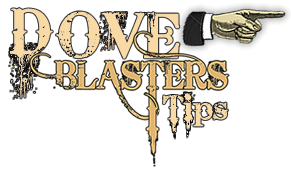 © Copyright 2010 - 2018 DOVEBLASTERS.COM ALL RIGHTS RESERVED | SITE CREATED BY GPIDS, LLC.